Hotels and resorts need to ensure that sales teams know how much function space inventory they need to sell and where they need to sell it in order to reach maximum capacity and achieve full revenue potential. Like airplane seats and concert tickets, hotel guest rooms are a perishable commodity. Hotels and resorts do not have the option at the end of the year to hold a fireside sale for all of the guest rooms that went unsold during the previous months. The same can be said for meeting and banquet function space inventory. That being the case, hotels and resorts need to be in a position to drive centralized and optimized group sales operations all year long. They need to ensure that sales teams know how much function space inventory they need to sell and where they need to sell it in order to reach maximum capacity and achieve full revenue potential. 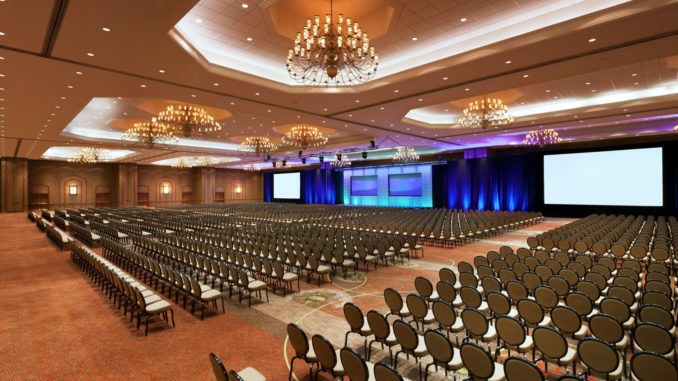 The sales team needs tools that allow them to know, at a glance, how meeting and banquet function space inventory ties into the broader guest rooms inventory and current availability for any given date. Because function space inventory, like guest room inventory, is subject to constant change, the solution needs to interface with the property management system and other technologies in a seamless and, preferably, real-time fashion. Effective sales management depends on immediate and accurate access to up-to-date inventory information as well as pricing information. A next-generation sales and catering solution is designed to automate the process across all channels and locations. Importantly, event sales functionality in a next-generation solution also generally supports the transition of an event from the sales team to the event team responsible for planning and execution. After the sales team has completed its task of capturing all relevant event information during the sales process, the information can be accurately and seamlessly transferred to operations personnel responsible for overseeing all details of the actual event, reducing redundant information entry and streamlining the end-to-end process. Note: To explore this issue, Starfleet Research recently partnered with Oracle Hospitality. The resulting study is entitled Unlocking the Hidden Value of Hotel Function Space with Next Generation Sales and Catering. It can be accessed here. What Does Big Data Mean to Hotel Management?